Journal of Clinical Medicine (ISSN 2077-0383), is an international scientific open access journal, providing a platform for advances in health care/clinical practices, the study of direct observation of patients and general medical research. This multi-disciplinary journal is aimed at a wide audience of medical researchers and healthcare professionals. Original research articles are particularly welcomed. Systematic reviews are also accepted. Pre-clinical studies using animal models are not accepted. Research subject should only be human patients. Survey-based studies are not accepted. Since 2019, short/mini reviews are not considered anymore. Since 2019, case reports are not considered anymore. 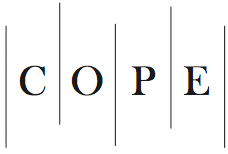 JCM is a member of the Committee on Publication Ethics (COPE). MDPI takes the responsibility to enforce a rigorous peer-review together with strict ethical policies and standards to ensure to add high quality scientific works to the field of scholarly publication. Unfortunately, cases of plagiarism, data falsification, inappropriate authorship credit, and the like, do arise. MDPI takes such publishing ethics issues very seriously and our editors are trained to proceed in such cases with a zero tolerance policy. To verify the originality of content submitted to our journals, we use iThenticate to check submissions against previous publications. MDPI works with Publons to provide reviewers with credit for their work.